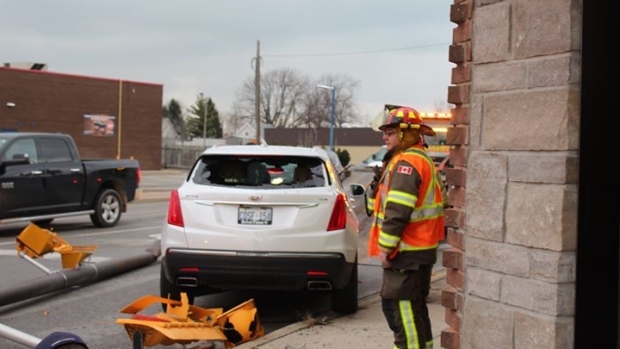 A 33-year-old Tecumseh woman has been charged with impaired driving after police say she hit a traffic light in Tecumseh. 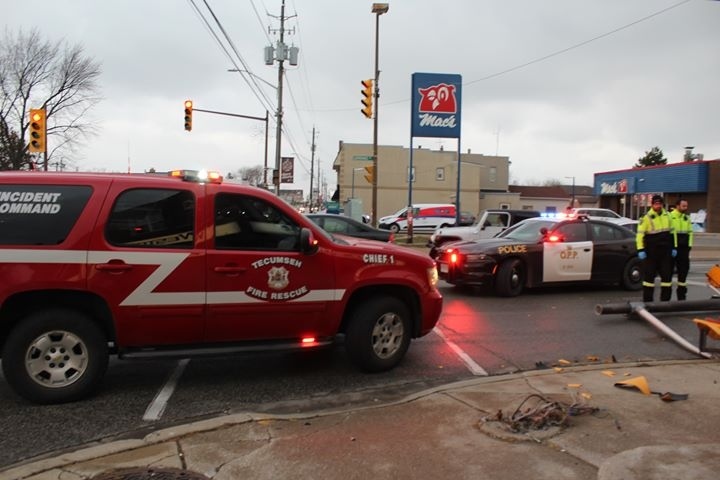 Essex County OPP responded to the single-vehicle collision at the intersection of Lesperance Road and Tecumseh Road on Dec. 5 around 3:30 p.m.
Police say a white SUV had failed to negotiate a turn and struck a utility pole. The lone occupant driver of the vehicle was spoken to by police and allegedly exhibited signs of impairment. 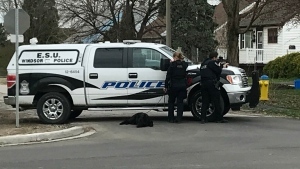 Kimberley Greenwood, 33, of Tecumseh was arrested at the scene and is scheduled to appear in the Ontario Court of Justice Windsor on Jan. 9. She is charged with impaired operation of a motor vehicle, care or control of a motor vehicle over 80 milligrams of alcohol in blood, driving under suspension, driving with no licence and not turning safely. 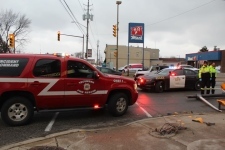 Her vehicle has been impounded, pursuant to the regulations of the Highway Traffic Act of Ontario.